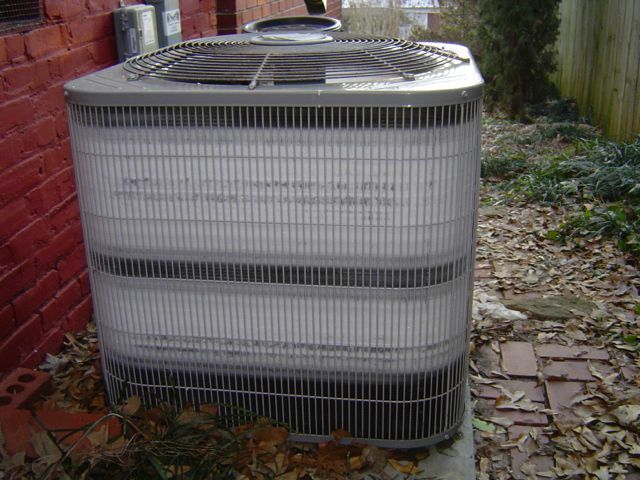 During the winter, when the conditions are right, frost can form on a heat pump’s outdoor coil. 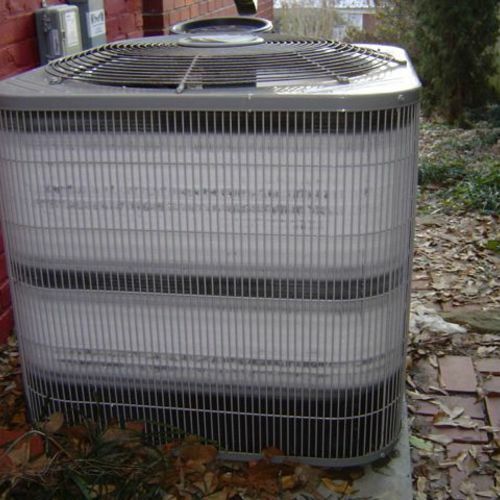 Heat pumps have a defrost system to remove frost when it appears. 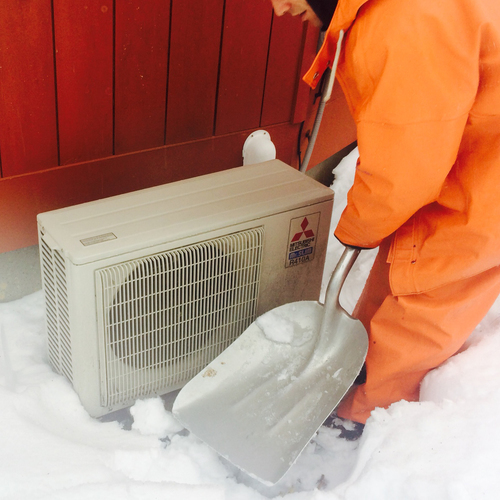 Most heat pumps are really dumb about how they handle defrosting the outdoor coil, though. Heat pumps can get frosty when they run in heating mode. It doesn’t happen all that often, but it’s a fact of life when you’re trying to . Sometimes the outdoor coil goes below the , and frost results. There’s . Every heat pump comes with a built-in defrost system so it will keep running smoothly. Unfortunately, the defrost system in most heat pumps is just plain dumb. And fortunately, I have a smart friend named Mike MacFarland who’s come up with a way to overcome that liability. What’s so dumb about heat pump defrost systems? Let me ask you a question. If you were to design a defrost system with sensors and controls to determine when the defrost cycle ran, how would you design it? Would your heat pump defrost system activate when it detects there’s a small chance of frost forming on the coil? Or would it instead turn on the defrost cycle when it actually measures that frost has formed? As it turns out, the defrost system on most heat pumps does the former. The image below (Image #2) shows the text from the product literature for a common heat pump, and it explains what happens. The outdoor coil has a temperature sensor mounted on it. When the temperature it reads hits 31°F, it starts a timer, which on this piece of equipment will be set to 30, 60, or 90 minutes. If the temperature is still 31°F or below at the end of the timer cycle, the defrost cycle begins. Maybe there’s frost. Maybe not. This system is based only on temperature and time. Apparently, heat pump manufacturers forgot that frost forming on a surface also depends on the amount of moisture in the air and this thing called the . OK. We both know they didn’t forget that. They made a choice to reduce their manufacturing cost at the expense of the homeowner’s comfort, peace of mind, and energy costs. And the equipment may not last as long either. But hey, who’s gonna notice? What’s wrong with a dumb defrost system? When a heat pump goes into the defrost mode, the reversing valve activates and runs the refrigerant backwards. Instead of extracting heat from the outdoor air and dumping it into the house, it extracts heat from the house and dumps it into the cold outdoor air. That heats up the outdoor coil and melts any frost that might be on it. What do you think happens to the indoors when the heat pump is in defrost mode? You guessed it. The heat pump, absent the effects of supplemental heat, would be cooling the house. In winter. On a very cold night. 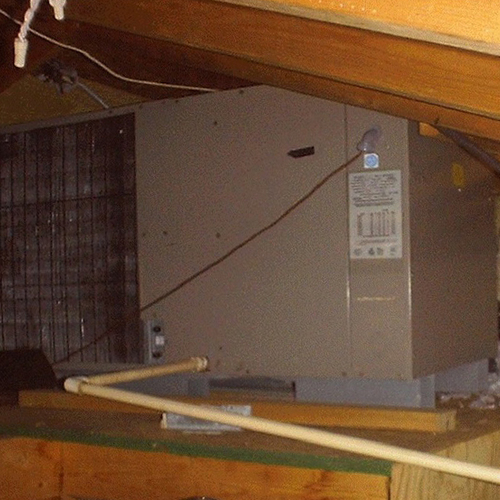 For most homes with heat pumps, that’s when the supplemental heat kicks in. You can’t have the system blowing cold air inside when people want heat, right? That just wouldn’t do. So, the supplemental heat fires up, and for most people, that means . It’s 100% efficient… but that’s only about a third as efficient as your heat pump. So, either you’ll be paying for expensive strip heat for a while or you’ll get a chill in the house. Neither is ideal. If there’s no actual frost on the outdoor unit, that’s just a slap in the face. Oh, and that defrost cycle puts a lot of extra wear and tear on the equipment. As my friend Mike MacFarland explained it, going into defrost cycle is like driving down the freeway at full speed and every once in a while suddenly having to drop it into reverse. Another problem is noise. When the heat pump changes the direction of refrigerant flow, it’s something you’ll notice if you happen to be in earshot of the outdoor unit. If you don’t know what’s going on, you might think something is wrong and put in a service call. Mike MacFarland makes heat pumps intelligent! So how do you design a defrost system that operates only when the outdoor unit actually has frost on it? Well, you don’t have to because Mike MacFarland, owner of in Redding, California, has already done it. He calls it the Energy Docs Intelligent Defrost System (EDIDS). His system uses the temperature sensor and timer but adds another key component: a pressure sensor. In the photo of his kit below (Image #3), the pressure sensor is the part with “Dwyer” on the label. 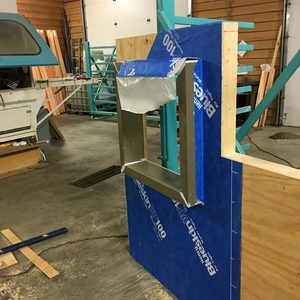 That gets mounted under the service panel and measures the pressure difference between the inside and outside of the unit. With a clean coil that has no frost on it, that pressure difference won’t be much. As the coil loads up with frost, the pressure difference increases. MacFarland has configured the kit so that the defrost cycle doesn’t start until the pressure difference climbs to about 0.35 inches of water column. With frost on the unit creating that much pressure drop, he’s measured a performance drop of about 24%. He’s OK taking that much of a hit from frost, because sometimes the ambient conditions change, and there’s no need to go into defrost mode. If not, the heat pump switches into reverse, melts the frost, and then goes back into heating mode. A typical heat pump will go into defrost every 30, 60, or 90 minutes if the outdoor coil temperature stays below setpoint (~31° F). MacFarland’s system goes into defrost mode only when necessary. The graph below (Image #4) shows how the pressure builds during a long runtime, eventually kicking off the defrost cycle when it hits 0.35 i.w.c. As you can see, the EDIDS cut the number of defrost cycles way down. It got rid of 76% of the unnecessary defrost cycles that would have occurred without the EDIDS and with the timer set to the 2-hour interval and eliminated 94% of the unnecessary defrost cycles with the timer set to 1/2-hour intervals. The energy savings aren’t huge, but, as he told me recently, his primary reasons for doing this were comfort, noise, and wear-and-tear on the equipment. Also, he doesn’t have supplemental heat set up on his heat pump. If you factor in the energy used by strip heat on a typical heat pump, the savings are greater than shown above. The takeaway here is that most heat pumps implement defrost in a really dumb way. Now you have a choice, though. An intelligent defrost system exists: the Energy Docs Intelligent Defrost System. If you’re interested, you can find . In case you’re wondering: No, I don’t make anything by promoting his product here. I just like good stuff that makes sense. Mike is a shining star in the home performance/HVAC industry. You could probably learn a lot by hanging out with him for a while. If you can’t do that in person, you should definitely go if you’re on Facebook. How else are going to find out that this guy is so nutty with his single-minded focus on measuring things that he’s got a datalogger hanging in his shower?! Just go do it. of Decatur, Georgia, is a speaker, writer, energy consultant, RESNET-certified trainer, and the author of the . You can follow him on Twitter at . Do ductless mini-splits have this same problem? Sounds like a good way to detect freeze up. But what about frost coating the coil that doesn't block the airflow? I think that would greatly reduce heat transfer. Why not use a PTH sensor to determine the dew point instead of or in addition to the airflow pressure sensor? And why do heat pumps use the reversing valve for defrost? That's what's causing the wear-and-tear. Why not put a strip heater directly on the coils? Or put a bypass valve from the compressor output to the coil? My Mitsubishi FE18NA turns off the indoor fan while defrosting, so there is no cool breeze. Strip heat isn't even an option. ...but the Mitsubishi H2i's do. But rather than blast a high cfm of chill across the room they run the blower on the interior head at it's lowest speed during the defrost cycle. I'm not sure what their methodology is for determining when to start (and how long to run) the defrost cycles are though. The Fujitsu XLTH series auto-defrosts as well (unlike their Halcyon -xxRLS2 recent ancestors) but I don't know their methods either. Dew point sensors aren't all that reliable, and can drift considerably with age. A pressure delta approach to sensing the frost-up should work just fine over the lifespan of the unit, and is pretty cheap to implement. With an inverter-drive blower in a mini-split that pressure can be monitored by the control firmware with out a separate sensor simply by self-monitoring the amount of power it's taking to keep the blower spinning at the correct speed (or monitoring the blower speed at a fixed power output) at the modulation level it's seeking in the heating-control algorithm. I thought that some heat pumps use a small heating strip to defrost-something that uses a relatively small amount of watts such as the heat strips used to keep pipes from freezing. Has my memory gone fully to pieces now?? I believe the efficiency of the typical current heat pump defrost on demand design is being unfairly generalized. I think my 3 yr old trane xl15i 3 ton uses coil temp and air temp to evaluate the efficiency of the heat transfer across the fins and compares to expected. Once it reaches a point beyond what it is considered acceptable, it would go into defrost as the assumption is that frost is the only thing that should be causing that impact. And to be honest, that sounds like it would work well, probably just as or better then what is being proposed. While dew point is relevant, it doesnt matter if the heat pump simply measures when the frost is impacting performance. I had assumed other manufacturers have something similar to trane. I installed a Bryant Evolution 20, which is supposed to be "less dumb" than the average heat pump, so I've been told. 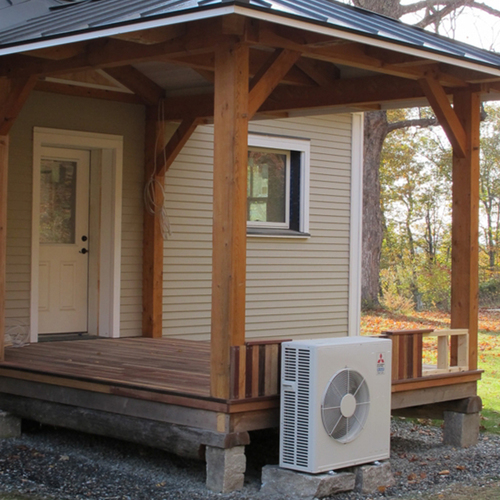 Would one of these new heat pumps have already figured this stuff out? Would this type of procedure "Void" my warranty? Seems like it might. Regarding ductless mini splits, I cannot imagine that a technology seemingly embraced by the gods could ever have this kind of "dumb" problem. How could we ever build quiet, efficient, beautiful and comfortable homes without them (tongue firmly planted in cheek)? And of course the manufacturers always consider all climates, and don't do things like design them for high latent heat removal (AC) when they may be installed in hot, dry climates, right? The sooner we understand that manufacturers aren't the best source of performance for our high performance homes, the better off we are. I believe we always need to grok the machine, study the results, and then make it do what we want it to, rather than what the manufacturer thought was generally best for all. This is the basis of Allison's article. @Jason D wrote: "But what about frost coating the coil that doesn't block the airflow? I think that would greatly reduce heat transfer." The data I collected, as well as previously published laboratory data, shows that the initial frost buildup isn't particularly harmful to COP. A doubling of the unfrosted pressure drop across the coil (delta P) only resulted in a 2% performance penalty (going from 0.06" WC to 0.13" WC). So even frost that is thick enough to block airflow substantially like this, isn't a significant performance concern. Frost that somehow coats the coil but doesn't block the airflow would likely be insignificant to heat transfer. Please see Dana's response about the dew point sensor, to which I agree. "And why do heat pumps use the reversing valve for defrost? That's what's causing the wear-and-tear. Why not put a strip heater directly on the coils? Or put a bypass valve from the compressor output to the coil?" I don't make heat pumps, but I believe it is the most effective method to do the job. Strip heaters on the coil add significant power consumption, impair heat transfer, are more expensive, and take longer to do the job. Remember that you can defrost without calling for heat strips (like I do), so the defrost cycle uses less power than the heat pump normally (because the outdoor fan is off). Typical power draw on mine is between 1 and 2 kW. Hot gas bypass is used successfully on larger, commercial units- but I don't have experience with them or know of other possible residential experiments in the past. Perhaps other readers can comment. Nick wrote "I thought that some heat pumps use a small heating strip to defrost-something that uses a relatively small amount of watts such as the heat strips used to keep pipes from freezing." Maybe you are thinking about the crankcase heater that is a resistance heating clamp around the compressor? If so, it's not part of the defrost cycle, but rather its added as insurance by the manufacturer to hep protect the compressor from potentially starting up against oil/liquid refrigerant after long off periods or when using long line sets with split systems. I don't know of any other widespread use on small heating strips on manufactured heat pumps as you described. 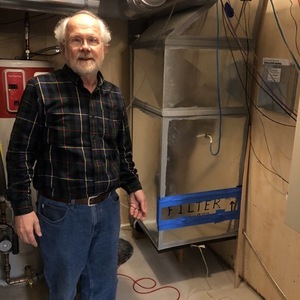 Benjamin wrote "I believe the efficiency of the typical current heat pump defrost on demand design is being unfairly generalized. I think my 3 yr old trane xl15i 3 ton uses coil temp and air temp to evaluate the efficiency of the heat transfer across the fins and compares to expected." 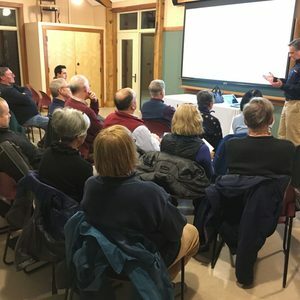 Allison is specifically talking about non-demand control heat pumps in the article, and how smarter strategies are needed besides just time and temperature. It sounds like Trane (and other brands) are doing this to some extent, but I would encourage you to data log your system, and see if it is truly as smart as you believe it to be. Note my comments about the small performance loss at double the delta P- I bet your Trane is defrosting at this level, and the cost of that defrost to your comfort and efficiency is higher than the 2% loss of not defrosting. But rather than guess, test, and please report back to us so we'll all be better off for knowing. It's hardly fair to compare this solution to the current worst unless this is an advertisement, which it isn't supposed to be. On demand systems are not even mentioned in passing within the article which is a huge oversight and it doesn't appear that Mike has compared (with data) this solution to on demand ones. By no means do I know whether or not the new system is actually more effective, it's just not presented objectively enough. The article was worth the read nonetheless. Thanks for the followup responses. It's interesting that you say "add significant power consumption, impair heat transfer, are more expensive, and take longer to do the job." I can see taking longer to do the job but not being more expensive. I'm not sure about significant power consumption or impairing heat transfer. If wear-and-tear is the primary driver of your approach, then wouldn't replacing the heat pump compressor be significantly more expensive than the cost of putting in heat strips? What do "heat only" heat pumps without a reversing valve do for defrost? Significant power consumption seems like a bad heat strip design. Using the reversing valve takes heat from the house (requiring the indoor fan to be running) and uses this heat for defrosting, which means that heat needs to be put back into the house when defrost is done. Using a heat strip with the heat pump off (including the fans) doesn't extract heat from the house which needs to be reheated or blow cold air. And I'm not sure why you'd say in impairs heat transfer. Anyways, it was a good read. It will be interesting to see if HP manufacturers try to improve the defrost cycle with concepts like yours. Another way to detect frost is to measure the amperage to the compressor, using something like an inductive clam. As frost builds up, the compressor actually starts using less and less power. I think this might be more reliable -- an inductive clamp plus a solid-state control board is pretty unlikely to fail, versus a pressure sensor. The source is an Aeon Home Energy Monitor clamped to the compressor (left, red) and air handler (right, green) that measures the current and wattage (power factor compensating) every 2 minutes. Time passes from bottom to top. Region is Northern California, temperatures ranged between 35-55 degrees, starting at ~45, going down, then going back up in the morning. The first cycle on the bottom shows power consumption going up as the refrigerant warms up, then reaches a peak and shuts off. The second cycle shows a few minutes of warming up, then a completely unnecessary defrost cycle. It's not until the ~7:00am cycle that you see power consumption reaching a peak, then starting to wane off, and finally going through a defrost. In that case, capacity actually reduces so much that it would have made sense to start a defrost even earlier, but instead, happens exactly every 60 minutes. Around 9am, frost stops forming, but it still ends up going into defrost. I agree with the comments suggesting the article shortchanges demand defrost controls found on almost all modern heat pumps over the last 10 years or more. Demand controls consider the outside temperature (avoiding defrosts over a certain outside temp), liquid line temp (which corresponds to liquid line pressure to initiate and stop a defrost), and the amount of minimum run time since the last defrost. A really old Seer 10 or less unit might still have a timer only defrost but it would make better sense to replace it rather than updating the defrost controls. 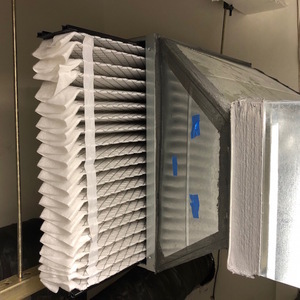 As part of the defrost control, the outdoor unit fan is stopped to increase the heat build up, which sometimes creates enough coil heat to produce visible steam. A good demand control will shutoff the compressor briefly while the reversing valve switches, reducing noise considerably. Early designs, before microprocessor controls became defacto in even low cost equipment, relied on run time timers and outdoor temperature sensors to interlock. The reversing valve operated with the compressor running. All this created unnecessary defrosts during dry weather and often created loud banging noises as the reversing valve operated with the compressor running. Typically a modern defrost control is setup to bring on indoor supplemental heating (strip or fossil fuel) before the defrost initiates and keep it on for a short time after defrost stops. As noted in the article, the defrosting system turns the indoor coil into a "cooling" coil during defrost, which can be offset with the supplemental heat. To achieve this with fossil fuel backup, a "bonnet" discharge air temperature sensor is used to maintain proper discharge air with a cold coil (eg discharge air not exceedingly hot) while preventing the momentary cold blasts described in the article. Finally a compressor's crankcase heater, if installed, is usually operated on the outdoor fan's normally closed relay contact, typically to maintain compressor refrigerant in a gas state when the outside unit is off. Pumping liquid with an older piston compressor caused early failures. Since a demand defrost shuts off the the outside fan but must run the compressor, the crankcase heater adds some heat to the system during defrost. However scroll compressors used in modern equipment do not typically come with crankcase heaters since they can take a bit of liquid slugging at compressor startup. With variable speed compressors and fans almost universal in mini-splits, additional defrost optimization strategies can be and are implemented.